short girl, long island. : Memorial Day + Sapphire Bee Giveaway Winner! While many of you are celebrating your three or four-day weekend, please take a moment to reflect why this holiday is observed. It is a day to honor the men and women who have died while serving in the US Armed Forces. Don't forget to thank those who are currently serving, too! I hope everyone is enjoying the day, spending time with family and friends. Veteran proudly marching in one of the many Memorial Day parades on Long Island. 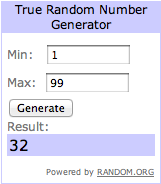 For the Sapphire Bee Giveaway, the winner is comment 32, Despina! Congratulations and thanks to all who entered. Don't worry, I have a few giveaways up my sleeve for the summer!